He was a man with one of the most unusual roles in Scotland and whose work quite literally cried out for recognition. 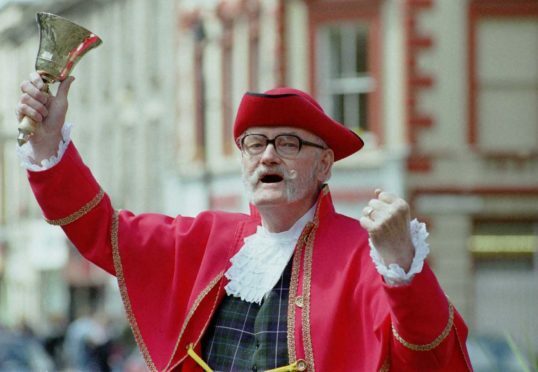 Alan Nicholls, who has died aged 83, took on the role as town crier in Lossiemouth and joined a very select group of just three people in Scotland. A retired postman, Mr Nicholls was also a member of the Lossiemouth Community Council for many years. And it was it that organisation which paid him a retainer and allowed him to go about his duties in the coastal town, entertaining locals and becoming a regular fixture at all manner of local events. Chairman of the Lossiemouth Community Council, Mike Mulholland, yesterday hailed Mr Nicholls as a “brilliant” personality, who lit up his environs. He said: “He was a great character and added a lot of colour and fun to the community. Mr Nicholls spent a decade as the town’s dedicated and first officially-paid herald and retired from his duties at the age of 75 in 2010. Prior to that, he was a familiar sight and sound at Lossiemouth’s annual events, from the raft race to the Christmas lights switch-on. It made him a true one-off in his community and he did it for the camaraderie and commitment to his roots rather than for the salary – of one guinea a year. 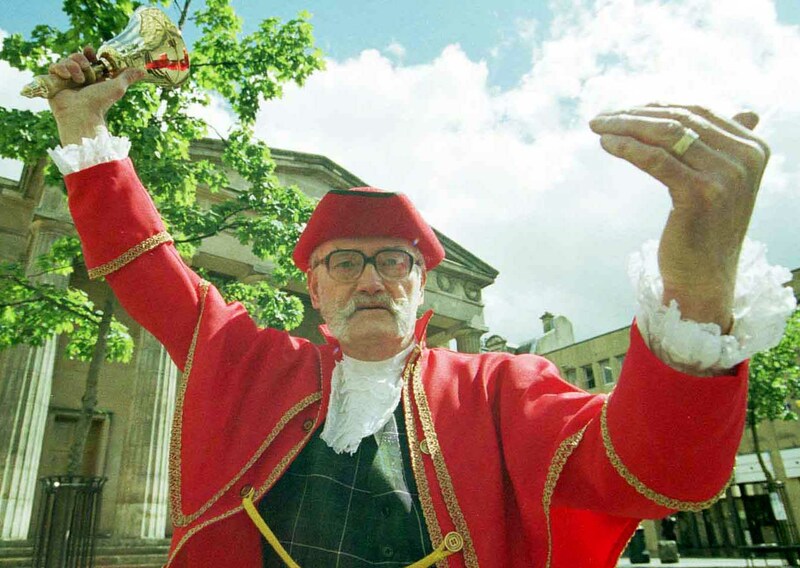 The former marine even paid for the town crier costume himself, and the handbell he used to ring was presented to the town by the Pistra family who ran the former Huntly House Hotel in Lossiemouth. Further tributes flooded in online, with Lynne Russell posting: “Aw, my boys loved seeing him in the town when they were growing up. Mr Nicholls was a member of the Ancient and Honourable Guild of Town Criers and once challenged a fellow crier to a battle. 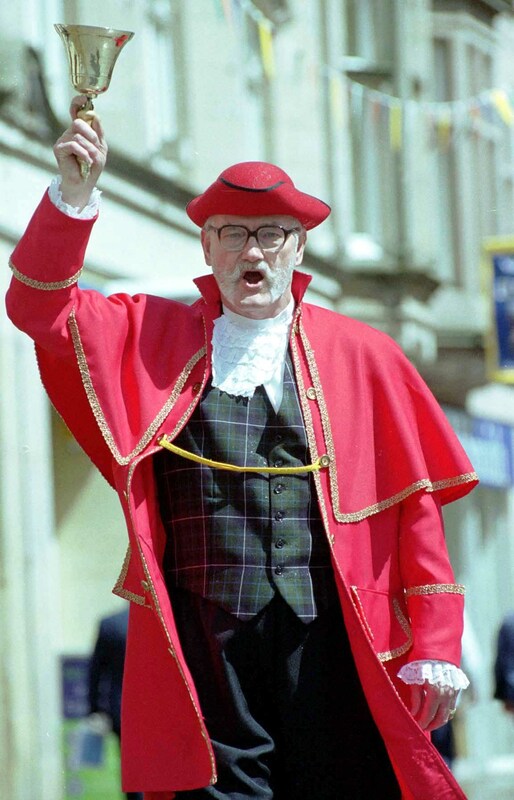 He laid out the challenge to Kilwinning crier John Smith after the latter claimed to be the only town crier in the country.